Plans are afoot to doublethe current screen count of Brazil, currently estimated at 1,700. An outreachproject dubbed Cinema For All (Cine Para Todos), spearheaded by leadingnational exhibitor Cinemas Severiano Ribeiro and top veteran producer LuizCarlos Barreto (Dona Flor And Her Two Husbands, Middle Of The World), has unveiled plans to build new screens in theimpoverished outskirts of key cities. "We need to grow themarket; only a core group of 10 million middle and upper middle classBrazilians go to the movies," said Barreto. "There are 30 million to 40million potential moviegoers we have not tapped." To that end, the new screenswill offer ticket prices at half the average cost. 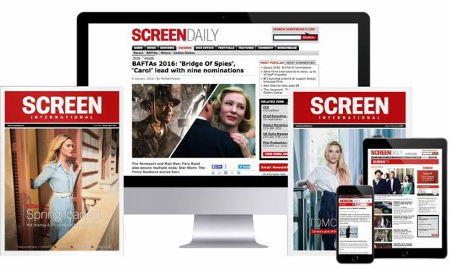 The partners plan to tap thenewly launched fund, Funcines (Screendaily, Oct 6), which provides tax breaksto investors in production, distribution and exhibition. Meanwhile, Texas-basedCinemark International has announced a new eight-screen theatre in Curitiba,Cinemark's first in this Southern Brazilian city. The multiplex, scheduled to open on Dec 15, will boast over2,150 seats in a 39,720 sq. feet complex. The new project, developed by the MultiplanGroup, is part of a large development that offers popular shops, a medical centre,a large apartment/hotel complex and a fitness club. Cinemark Internationalopened its first cinema in Latin America in1993.Currently, the company operates3,043 screens in 33 states and 14 countries outside the United States includingArgentina, Canada, Chile, Costa Rica, Ecuador, El Salvador, England, Honduras,Mexico, Nicaragua, Panama, Peru and Taiwan. Cinemark is also scheduledto open a four-screen complex in Manizales, Colombia on December 4th. Thecircuit's 4th theatre in Colombia, it will boast 740 seats and over 12,169 sq.feet of space. The theatre will be part of a modern retail development and thefirst and only multiplex in this city.